There must be something about July 10th... Nikola Tesla, Charles Darwin, and Abraham Lincoln were all born on this day and today is also the 500th anniversary of John Calvin's birth. Wouldn't you be impressed if I had a wonderful children's book about Calvin to celebrate this anniversary? So would I! In truth, I just learned about it on the way home from work today, so I'm not prepared with fabulous recommendations. What am I prepared to celebrate? National Cow Appreciation Day! That's right, Chick-fil-A has declared today a day of bovine appreciation. Everyone who shows up in a cow costume gets a free entree. Although I always enjoy a good chicken sandwich, I'm opting out of participating this year and will instead take the time to tell you about my favorite cow-themed book. 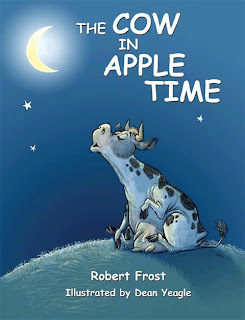 The Cow in Apple Time is not only an adorable children's book, it's also a poem by Robert Frost. Famed illustrator and cartoonist Dean Yeagle has brought this country poem to life with his darling illustrations of a cow drunk on apples. We found this book at the library and Little Page loved it so much we had to renew it at least once. By the time I pushed it into the return book slot, Little Page had the poem completely memorized. 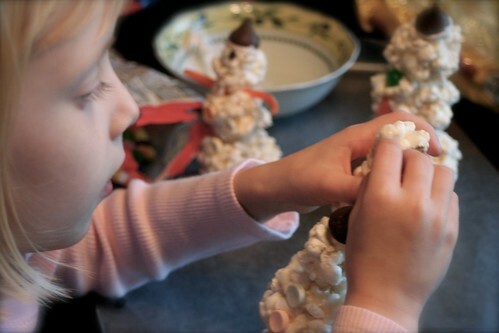 There is something amazing about hearing a 3 year old recite phrases like "the windfalls spiked with stubble and worm-eaten" and know that she understands what the poet means. When I went to purchase the book - yes, I think it's worth adding to our personal library - I was sad to see that it is out of print. There are still copies available online, however. So if you wish to introduce your little ones to a literary poet, you can't do better than The Cow in Apple Time.